Crude oil tanker; 26,376 grt; 46,687 dwt. Operator: Einar Rasmussen, Kristiansand S, Norway. Built: 1963 by Eriksbergs M/V A/B, Gothenburg, Sweden. Yard no 572. Main engine: ten-cylinder, two-stroke Eriksbergs-B&W 10-74VT2BF-160 of 15,000 bhp at 119 rpm. Speed: 15.25 knots. 1982-RION (Greek flag); 1982-SAGA (Panama flag); 1983-EVA P (Cyprus flag); 1987-ABU DHABI STAR; 1989-DEMOSTHENES V (Greek flag). 1994- to breakers at Alang, India, 10/8. 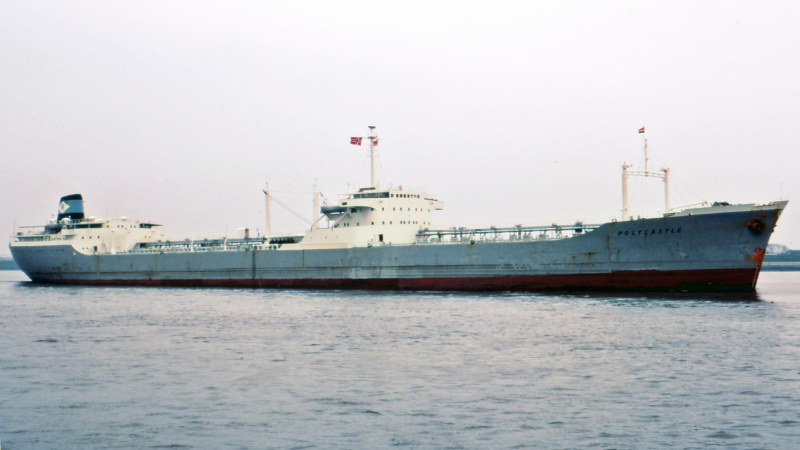 1963-1994, probably a "happy ship"